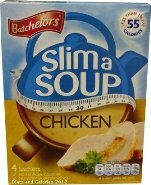 Batchelors Slim a Soup are the lower calorie alternative to the Cup a Soup range. Soup, of course, is a great way of filling yourself up while you’re on a diet. Drinking a mugful of steaming soup can also help curb the urge to snack on other higher calorie snacks. 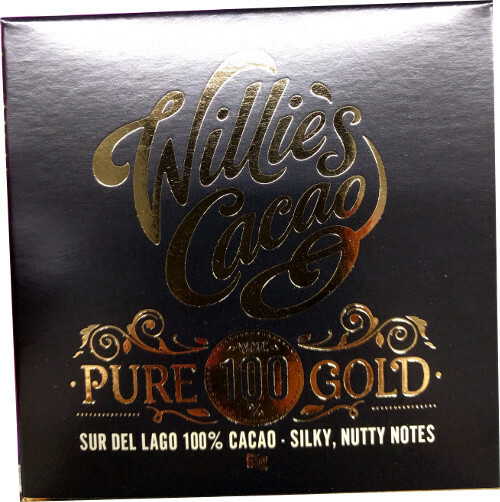 Each box contains 4 sachets. To make it up, simply tip the soup powder into a mug, add boiling water, stir and wait a few minutes to allow it to cool slightly. So is it worth switching from Cup a Soup to Slim a Soup? 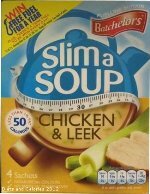 Although the Cup a Soup is still under 100 calories with 90 per cup, the Slim a Soup has considerably less. 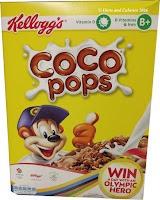 The Slim a Soup also has less than half the sugar of Cup a Soup, and nearly half the fat and salt. So overall, the Tomato Slim a Soup looks to be a healthier option out of the two. 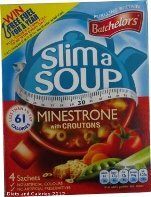 Batchelors Slim a Soups are available in most larger supermarkets, though not all sell the same varieties. 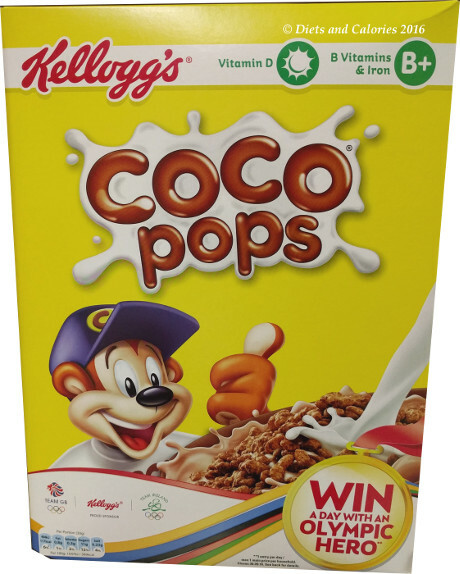 Nutrition Information per serving when made up as directed: (Chicken): 55 calories, 2.3g protein, 7.8g carbohydrates, 0.5g sugars, 1.5g fat, 0.9g saturates, 0.4g fibre, 1.0g salt. High salt, low fat, low sugar.